The custom-designed backs consists of a concentric pattern formed by circles of Buddhist scripture. A serene representation of the ripple-effect on water as the butterfly seems to dance on its surface. 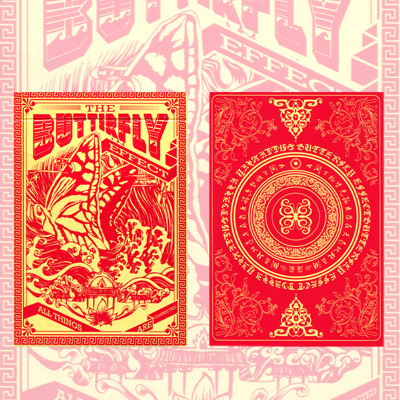 The butterfly is represented on the card-face by a pair of wing-like figures.